Give your residents a single point of contact and maintain open lines of communication after hours with property management answering services from Absent Answer. Whether you’re managing one apartment complex or dozens of properties across the United States, being inundated with phone calls and not having the staffing to deal with them can be a major distraction. Not to mention bad for business. From new leasing inquiries to maintenance emergencies, there are always important calls that need your attention, and handling them effectively is key to your success. Property management answering services from Absent Answer provide a dependable, 24 hour solution for handling tenant calls and maintenance requests while you’re out of the office, without the cost of hiring employees. Whether you need a backup solution for your site staff or a virtual receptionist for an apartment leasing office, our customized answering service can be tailored to the precise needs of your property management company. Property management answering services help free up your staff to focus on operations, not manning the phones. Our 24 hour call center is available 365 days a year to answer calls in the name of your company and process inquiries as an extension of your business. By establishing a 24 hour hotline for your properties, you ensure that tenants and potential lessees always have a point of contact, even when your regular onsite staff or office personnel are unavailable. Let’s explore how telephone answering services can help improve tenant satisfaction while decreasing costly distractions. Leasing inquiries, maintenance issues, and tenant complaints often occur outside of regular office hours. Our after hours answering service for property managers is available around-the-clock, giving managers and office staff the support they need to keep up with calls without neglecting other operational responsibilities. With Absent Answer, your office is always open. Calls to your office are important, and every detail impacts the tenant experience. From the tone of the operator’s voice to their level of understanding and ability to efficiently process the tenant’s request, every step presents an opportunity to either improve the customer experience or introduce friction and costly miscommunication. We recognize the importance of these calls and train every agent on property management account standards to ensure every call we take is handled quickly and effectively. Hiring receptionists to handle all of your telephone answering needs would be a significant expense. Generally, site staff have responsibilities beyond tending the phones, and hiring dedicated call center agents is generally cost prohibitive. Our answering service operators are available around the clock, but unlike employees, you only pay us for the time you need. With Absent Answer, you can ensure every call is answered live without increasing your payroll. Our property management call center agents are highly trained customer service representatives who can deliver the level of service your residents demand at a fraction of regular staffing costs. What happens with your maintenance requests when you aren’t in the office? Do they sit in a voicemail box? What if there’s an emergency? By using Absent Answer, you can establish a consistent maintenance process and ensure each and every call follows the same protocols. Whether a tenant has a leaky faucet that can wait for regular office hours, or there’s a major security issue that requires immediate attention, our call center agents can attentively field every call and follow your instructions to ensure it is handled properly. Having Absent Answer handle your property management calls is easier than you think. It’s as simple as establishing your account instructions, training our team, and then forwarding your phone lines whenever you want our agents to answer calls on your behalf. You can turn your calls over to Absent Answer at the same time every evening when your office closes for the day, during holidays when the office is closed, during busy periods, or on demand. We’re there to answer whenever your business needs us. A caller dials your regular office phone number. This could be a tenant trying to reach maintenance with an emergency, a technician updating dispatch on the status of a service call, routine office calls, or any other type of call that your office may receive. Instead of ringing your office line and going to voicemail, burdening your on-call maintenance technicians with non-urgent requests, or sitting on hold while your office is busy handling other tasks, all calls made to your office are routed directly to our friendly call center agents, who immediately recognize that the call is for your property and greets the caller accordingly. There’s no one-size-fits-all approach for handling property management calls, so our team is armed with your precise instructions and handles each call per your expectations. We can perform initial call screening and route the call to the appropriate maintenance staff if certain criteria are met, take a message for the office, or complete routine administrative tasks directly over the phone, such as providing general information or scheduling appointments. Our property management answering service is completely customizable. We take calls as an extension of your property. We can book appointments for showings, handle after hours maintenance requests, dispatch emergency issues, take lease applications by phone, and perform other telephone answering tasks on your behalf. After Hours Answering Service. Do you want calls to your office answered live 24 hours a day? Do you wish your receptionist was available around-the-clock? We’ve got you covered. 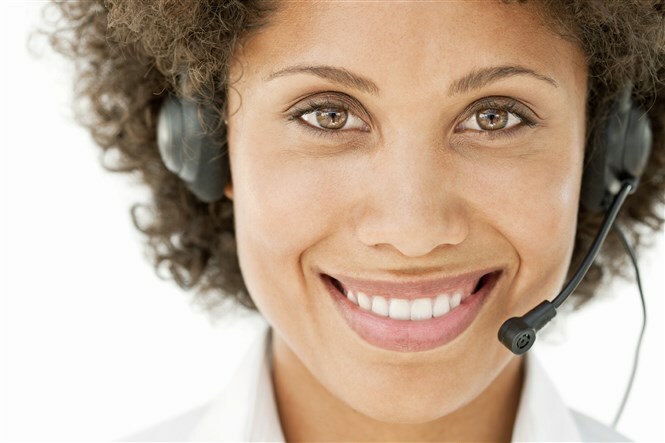 Our 24 hour answering service can deliver the call coverage you need, when you need it. Maintenance Answering Service. Give your tenants a single phone number they can use to request maintenance or notify you of urgent issues occurring at your property. Our maintenance hotline can take routine messages or escalate issues directly to on-call personnel, allowing us to serve as the frontlines and filter out non-urgent items while ensuring important issues get the attention they need. We can reduce costly distractions while also decreasing your risk and liability. Overflow Office Answering Service. Don’t leave callers hanging when your office experiences a spike in phone calls. Our Overflow answering services for leasing offices is a cost effective way to ensure you always have backup telephone coverage and never miss a leasing inquiry. When your phone lines are busy, excess calls overflow to our call center, where our agents answer in the name of your property and handle calls as an extension of your office. Appointment Scheduling Service. We can schedule appointments for prospective tenants or maintenance contractors by accessing your web-based calendar system. By having our agents use the same system as your office staff, you can reduce data entry costs, reduce errors, and ensure everyone remains on the same page. More appointments and fewer scheduling issues means happier tenants and higher occupancy rates. Allow the friendly receptionists at Absent Answer to take your calls while you focus on managing your properties. We are based in the U.S. and operate 24 hours a day, 365 days a year, delivering unparalleled support to property management companies across the country. 24 hour maintenance hotline. We enable you to process maintenance requests at all times, without sending every call to your technicians or maintenance staff. Our personalized maintenance hotline can be structured to ensure the right calls reach on-call personnel while non-urgent issues wait for the office to return. Property emergency dispatching. Even though your office is closed, tenants may still encounter an urgent issue that requires immediate attention. Our on-call scheduling software enables property managers to define the exact contact procedures for their on-call personnel, which is then used by our agents whenever a call needs to be paged or relayed to the individual or contractor on-call. Urgent messages can be immediately text messaged, paged, emailed, or warm transferred to your on-call representative so that urgent property issues are immediately addressed. Leasing office virtual receptionist. Why limit your availability when you can take calls 24 hours a day? Our friendly virtual receptionists are always there to take calls and work as an extension of your leasing office. Our personalized scripting can be setup to ensure we collect exactly the information you need from every caller, initiating the leasing process and giving your property the leg up with prospective tenants. Quality customer service. Absent Answer’s property management answering service provides highly trained agents who deliver high quality customer service on behalf. On-call scheduling software. If your property has rotating on-call maintenance personnel or specialized instructions based on the nature of the call, our specialized On-Call Scheduling software will ensure the correct person is contacted every time. When changes are made, they instantly update our system so that we reach the correct person. Web-based system integration. Our call center agents can utilize your web-based systems to perform routine office tasks, such as opening maintenance tickets or scheduling appointments. Fail-safe systems and disaster recovery. Our service quality is just one reason that successful property management companies turn to Absent Answer to help them grow. Our call center has taken great care to make sure we have redundancy in our operations. We realize that being available on a 24/7 basis for you requires us to maintain excellent up-time. Customized call scripting and routing. Our sophisticated software allows us to become an extension of your staff. We are able to handle sales inquiries, provide information and process orders. If your company has a mobile leasing team or has multiple properties, we are able to quickly and efficiently connect prospects to the most qualified representative. We can even rotate leasing inquiries automatically using our customer referral software. At Absent Answer, we’ve been answering calls for property management companies since 1985. Each and every call, message, maintenance issue and appointment request gets handled accurately – 100% of the time. That kind of reliability allows you to focus on managing your property while we worry about handling your important calls and serving as your virtual office receptionist. The personal touch that your tenants feel is the same personal attention you can expect every day. To your tenants, we are a friendly, helpful extension of your team. To your office and maintenance personnel, Absent Answer is an accurate and reliable virtual assistant who knows you and your property. We are your virtual assistants who never miss a call, take a day off, or call in sick. Why choose Absent Answer as the answering service for your property management company? Absent Answer works closely with you to develop service benchmarks and create a consistent training program to ensure that all agents are fully trained to provide your residents, prospective residents, office staff, maintenance personnel, and outside vendors and contractors with attentive service and exceptional attention to detail. To ensure up-time and availability, our telephone circuits are set up with a fail-over in case of fiber optic cuts. We maintain redundant servers for all critical systems and ensure all data is backed up with UPS and natural gas generators in case of a power outage. Do you answer calls in the name of our property? We can answer calls however you’d like. A common greeting is to announce the name of the property, thank callers for calling, and ask the nature of the call. How do you determine whether a call is a maintenance emergency? Maintenance emergencies are determined based on the nature of the call and whether it aligns with your after hours maintenance policies. You can allow tenants or on-call personnel to determine whether calls are urgent or not, or have our call center agents cross reference maintenance issues with a list that we keep on file. Our call center can be setup to follow the exact policies spelled out in your leasing agreements and maintenance policy documents. Do tenants still call our office number after hours? Yes, your residents can call the same published business number after hours. The only difference is that you forward that line to us when you’re unavailable, and the calls reach our answering service personnel instead. Ready for a property management answering service you can depend on? We are ready to help. Contact our account team today to discuss you telephone answering needs and learn more about our affordable pricing plans.